Voices: Johnny Depp, Isla Fisher, Abigail Breslin, Ned Beatty, Alfred Molina, Bill Nighy, Stephen Root, Harry Dean Stanton, Timothy Olyphant, Ray Winstone. When director Gore Verbinski and star Johnny Depp collaborated before they brought new life into the swashbuckling genre with “Pirates of the Caribbean”. This time they bring a different take on animation, with very mixed results. A pet lizard (Johnny Depp) falls out of a car in the desert, and earns himself a heroic reputation in the makeshift animal town of ‘Dirt’ as gunslinger “Rango”. 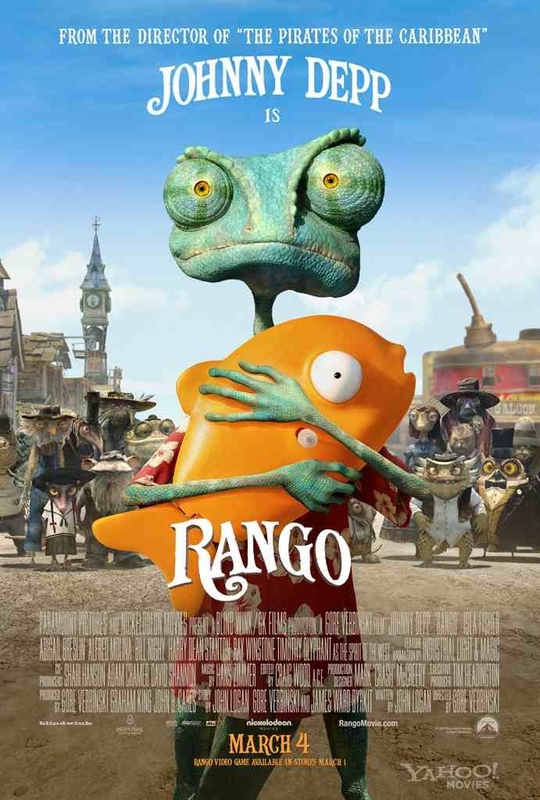 Dirt’s water-supply is controlled by a turtle mayor (Ned Beatty) and his gang, but Rango rallies the decent folks when it seems the community will be destroyed. 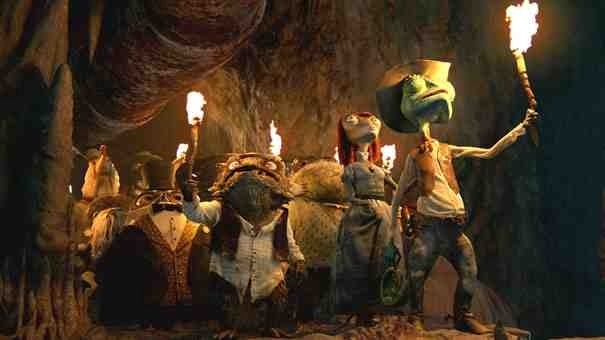 Partly the problem I had with “Rango” was it’s stunningly good opening. For the first 10mins or so it looked like it was going to be something very special indeed but as it progressed it fell somewhat flat and ended up as dry and barren as the landscape in which it was set. The voice cast were impressive, particularly Depp. He has a good range and if you didn’t know beforehand, you probably wouldn’t know it was him. The animation was also very well done but the desert creature characters were so realistic that they were also a bit freaky, leaving them less endearing than they should be, which has you wondering why Verbinski chose the style he did. Choosing the great cinematographer Roger Deakins as visual consultant was a good move though, as the landscapes and western style were brilliantly achieved. A valiant effort to produce something different but the characters were just a bit too far gone and the story seriously ran out of ideas early on. This entry was posted on February 2, 2012 at 12:06 pm and is filed under Adventure, Animation, Comedy with tags 2011. You can follow any responses to this entry through the RSS 2.0 feed. You can leave a response, or trackback from your own site. Did you notice the Fear and Loathing reference? I’m not sure if I did now. Remind me where? I just realised you added a link also. Now that you mention it, I do remember. A nice little touch. I thought the film had loads of nice little touches but on whole I was disappointed. This was a big disappointment for me. I thought it started superb but soon got a bit tedious and the life just drained from it in the end. Thanks for swinging by man.